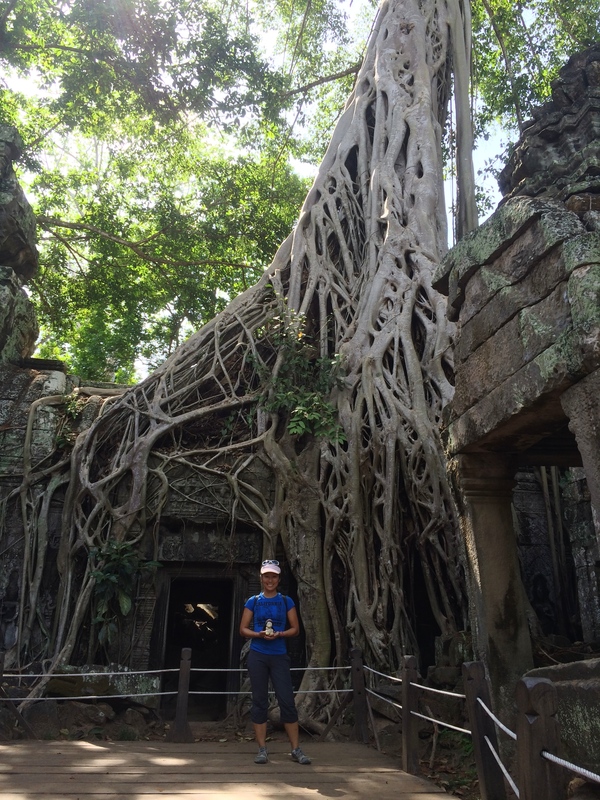 People only come to Siem Reap for one reason: the wats, known as the Angkor Archeological Complex. 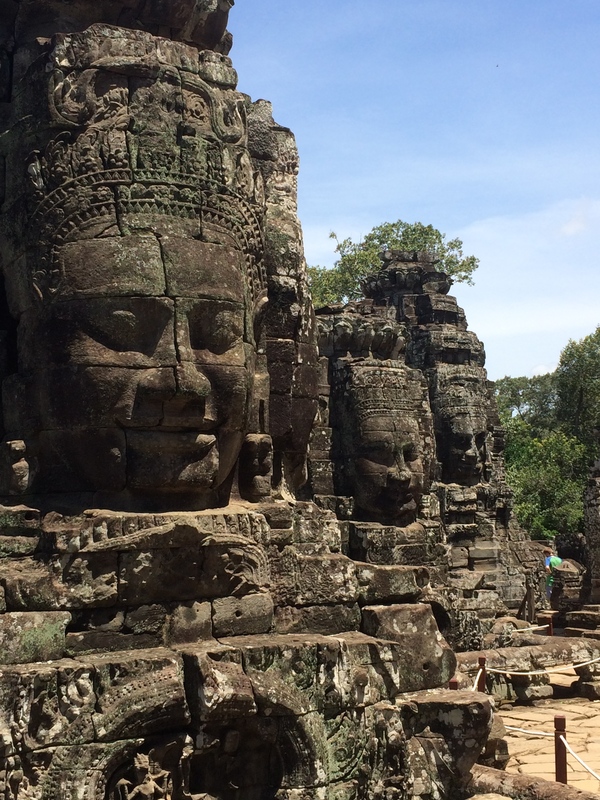 Tickets are expensive by SE Asian standards—a 1-day pass is $20, a 3-day pass is $40, and a 7-day pass is $70. We opted for the 3-day pass. We came during the low season, which has its pros and cons. 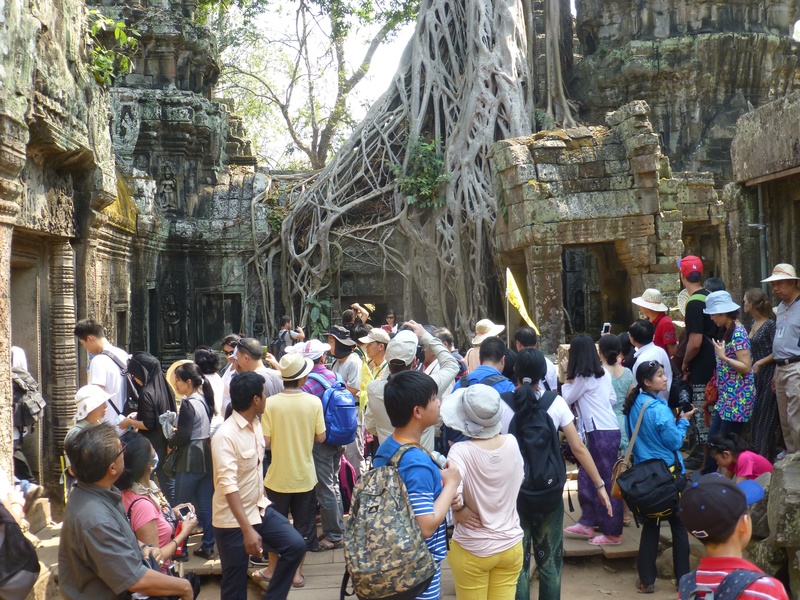 The low season entails a fraction of the crowd typically swarming the temples during the high season, making it less likely to see or start a tourist brawl. However the low season takes place during the miserably hot and dry months from March-May or the monsoon season from June-September. Because it was the early rainy season of June, we endured painfully hot and sticky mornings followed by cooler rainfall in the late afternoon. 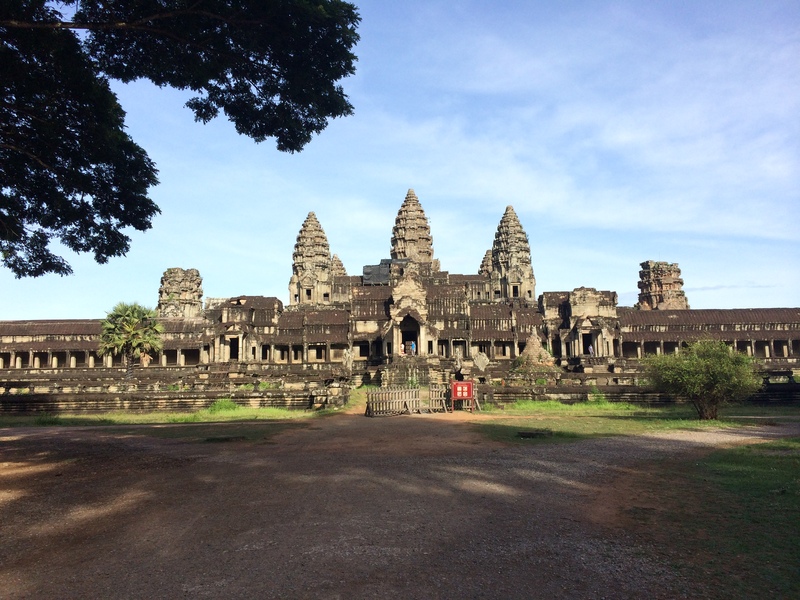 In order to comfortably exhibit the incredibly large complex, we hired an air-conditioned car with guide for 2 days. 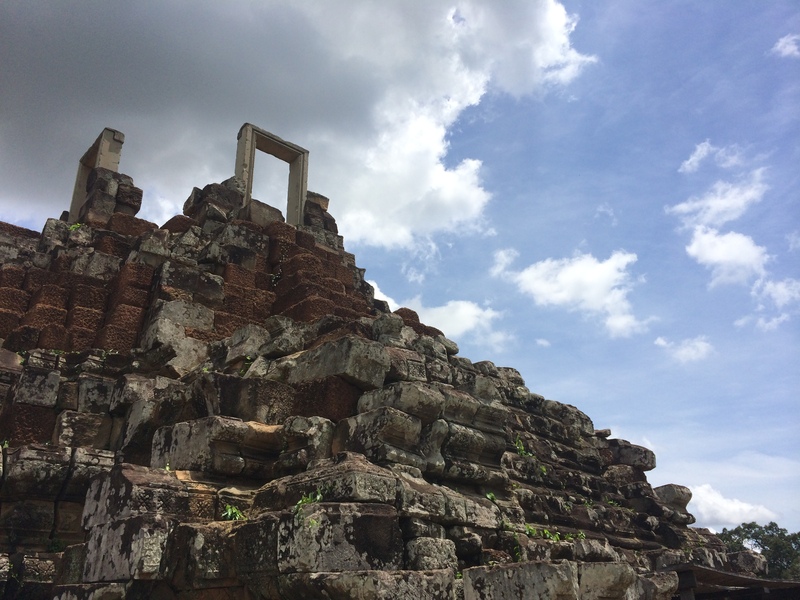 The AC was a savior between temples! Our first day was jam-packed with so many temples; I can’t even remember them all. 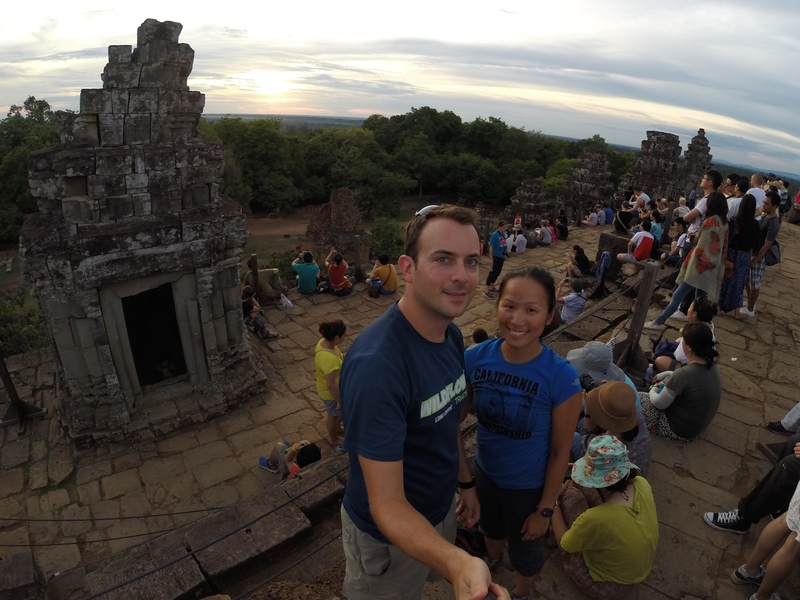 We started at 8am and ended with sunset on Phnom Bakheng, which sits atop a hill with views of Siem Reap. Our tour for day 1 finished around 7:30pm—almost 12 hours of wats in the heat! Again, I was thankful that it was the low season so we did not have to endure crowds of this magnitude. And we all know Asian tourists are the worst! 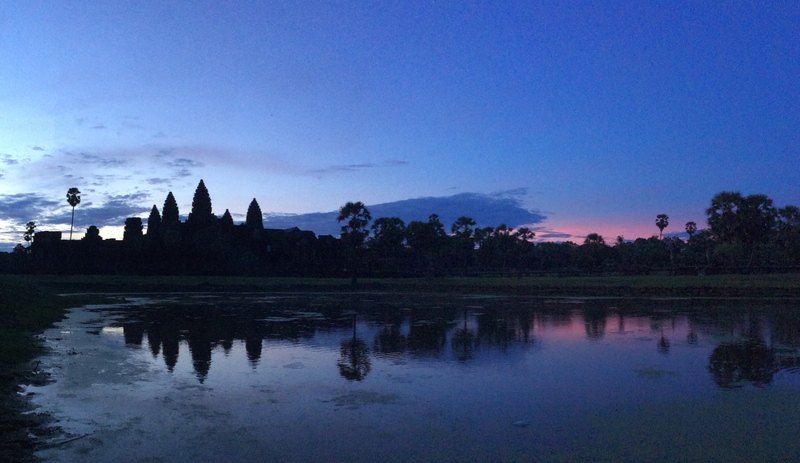 We ended late on our first day, and started early on our second day for sunrise at Angkor Wat. A woman standing next to us told us that there were 10x more tourists during the high season in November. Another friend told me when he came in November he wanted to punch a tourist who attempted to crawl under his tripod. Needless to say, there was still a crowd of tourists, but nothing to this degree. 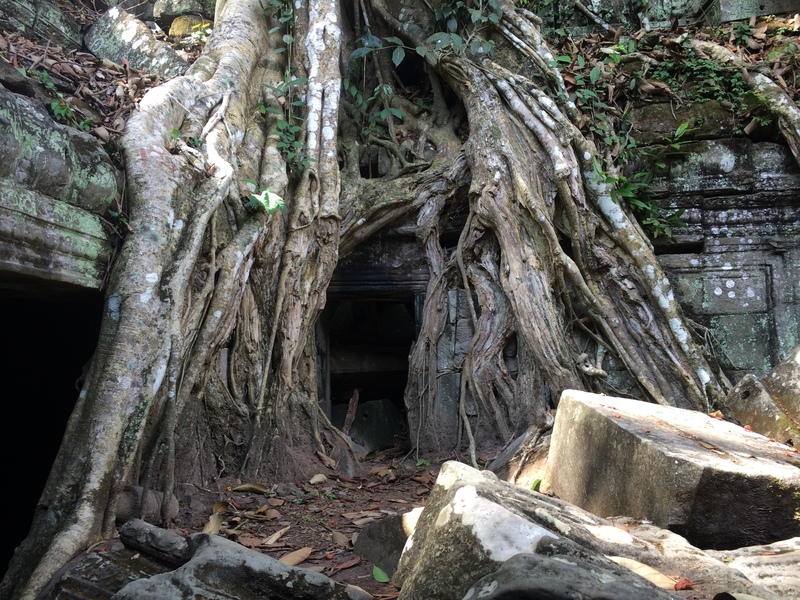 More than one friend suggested we venture out of Siem Reap to explore Beng Melea, a temple half ruined by jungle and half ruined by war. 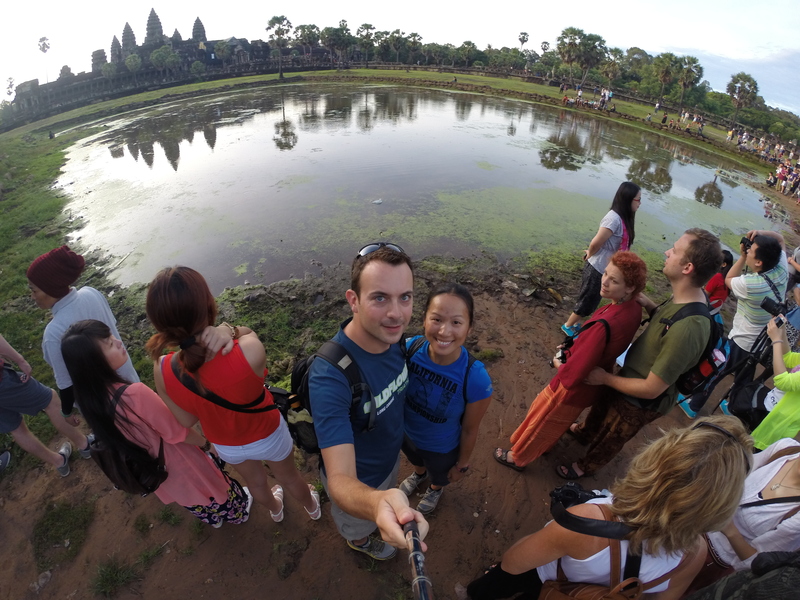 Because it is located 70 km outside of the city, our only way to get there was by car ($60!) or…*drum roll*…bike ride! I considered renting bicycles and riding to Beng Melea on our own, but reality hit me, reminding me that we were in a corrupt foreign country without any proper cycling gear or tools. I’m glad I found a couple cycling tour companies that offered this excursion. 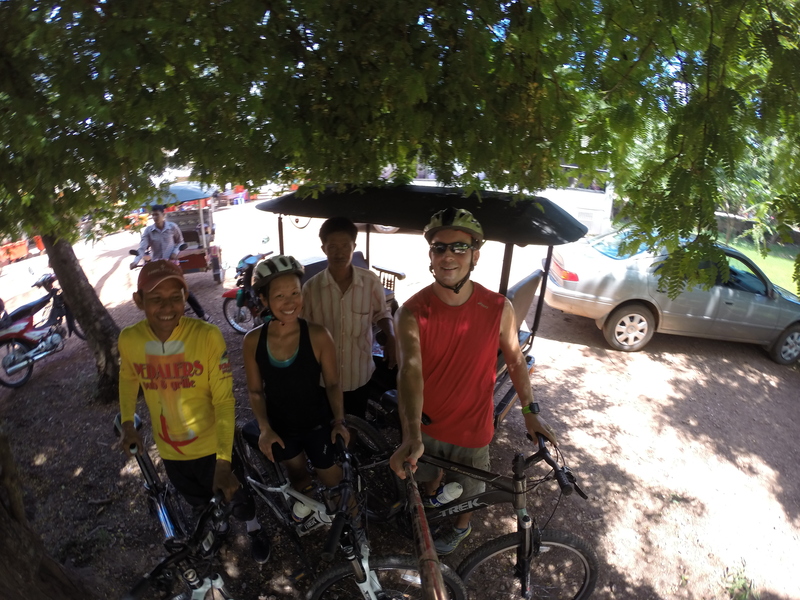 On our last full day in Siem Reap, we rented mountain bikes, a cycling guide, and a SAG (Support And Gear) vehicle and driver, which was a tuk-tuk! 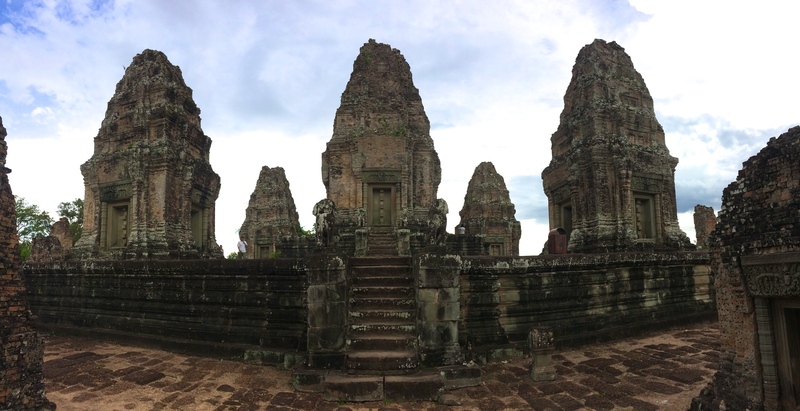 Our English-speaking guide led us out of Siem Reap to Beng Melea, taking short cuts through remote villages, which cut the distance from 70 km to 56 km. The ride was hot and extremely dusty, as showcased by our legs coated with red dirt. Fortunately, SAG followed closely behind us the whole way and provided ice-cold water between breaks (and a blocker from some traffic). 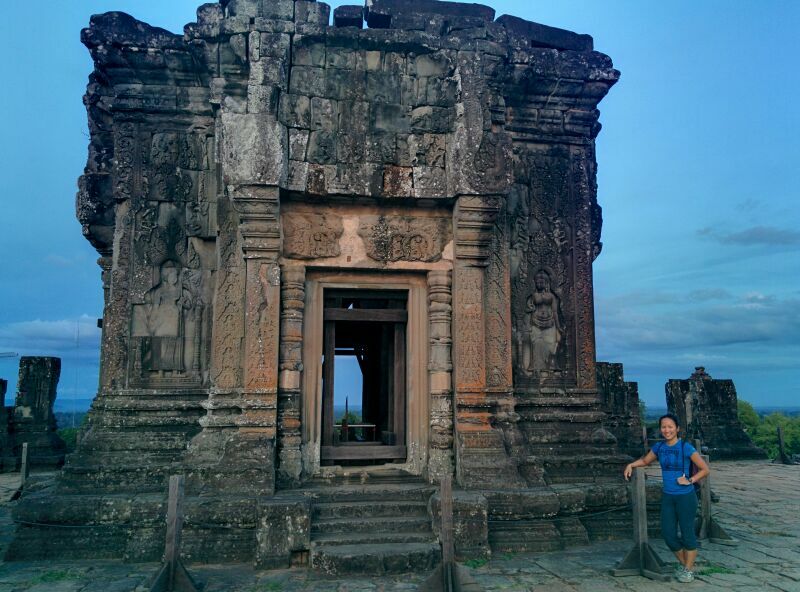 Since Beng Melea is not part of the Angkor Archeological Complex, it is not frequented much by tourists. 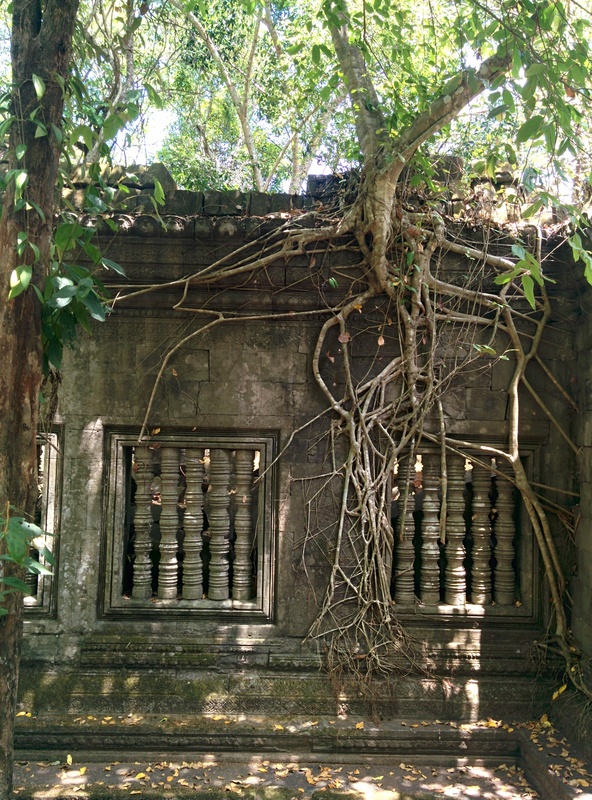 The natural beauty of the ruins is pure since there has not been an attempt to restore it (yet). 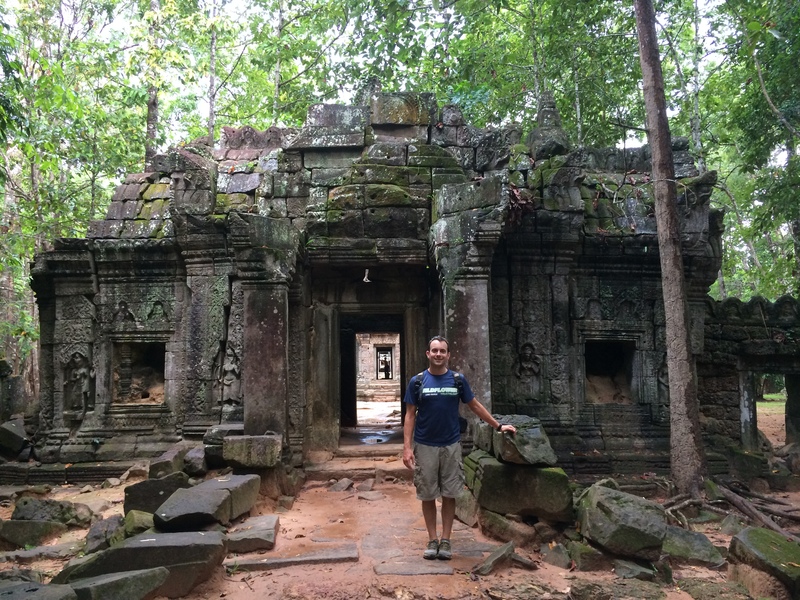 When our guide first explored Beng Melea in 2008, he could not venture off the causeways because there were still landmines everywhere left by the Khmer Rouge. Thankfully now all the landmines have been removed, and anyone can stroll and climb where they please. 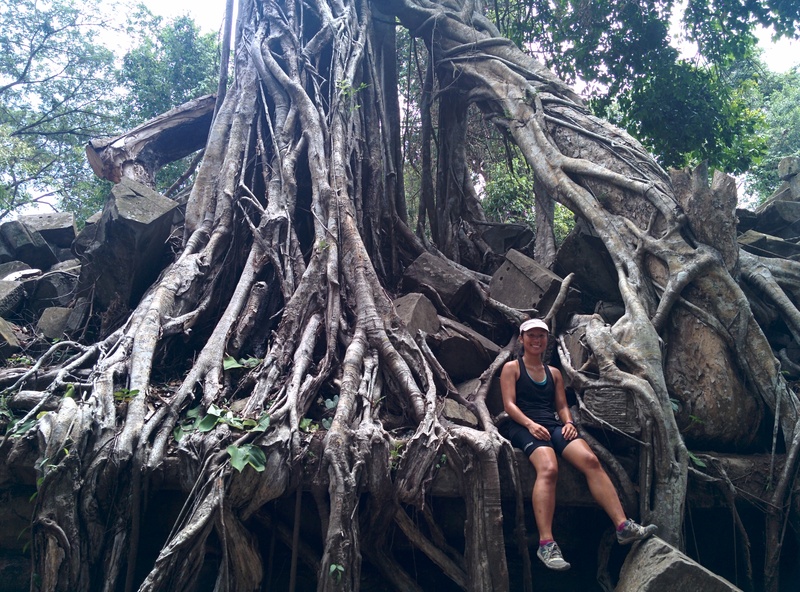 – Getting into Cambodia via land border is typically a nightmarish experience. 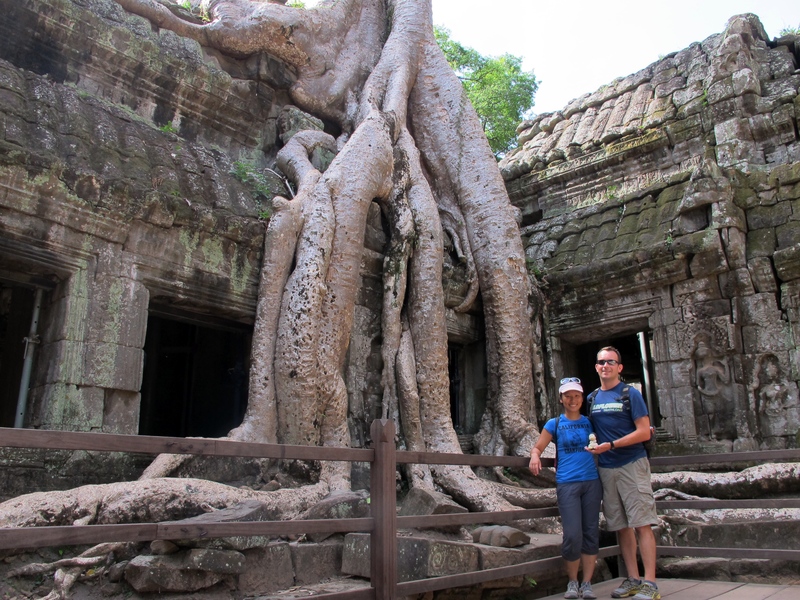 Even when our friends Dina and Eric attempted to get into Cambodia from Laos with their motorbikes, the border officials would only grant them entry if they could buy their motorbikes for $200 USD and sell them back for $500 USD. “This is not my problem. This is YOUR problem,” the border patrol officer haughtily told them. 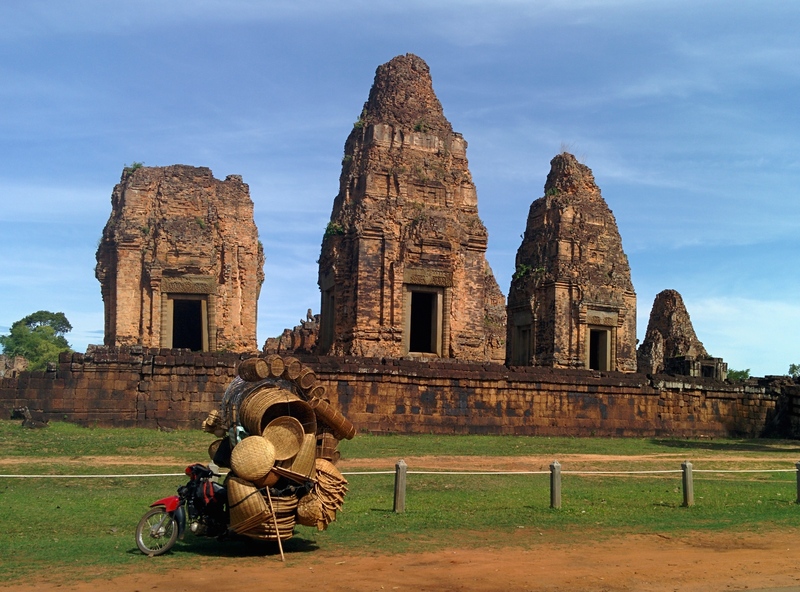 – Unlike major cities in the neighboring countries of Vietnam, Laos, and Thailand, motorbikes cannot be rented to tourists in Siem Reap. Although it is said tourists can rent motorbikes outside of Siem Reap and ride them in, the police will still find a way to stop and fine them for hundreds of dollars. “Tourists cause too many accidents,” is the lame excuse. Funny, because Bangkok, Hanoi, and Ho Chi Minh City are exponentially more crowded, but foreigners can still rent motorbikes there. – The problem with prohibiting tourists from renting motorbikes leads to the next issue. 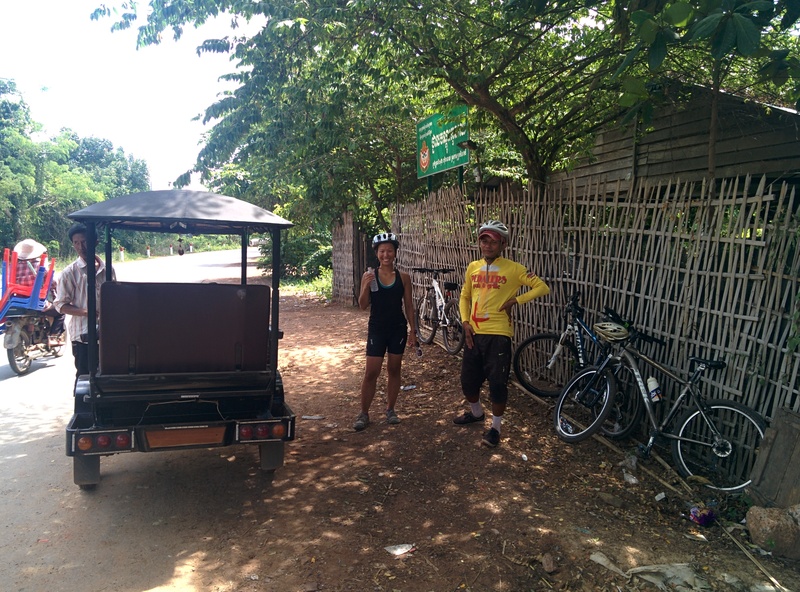 There are no metered cabs in Siem Reap, so the only methods of quick transportation are rented bicycles (too hot) and tuk-tuks (incredibly expensive). 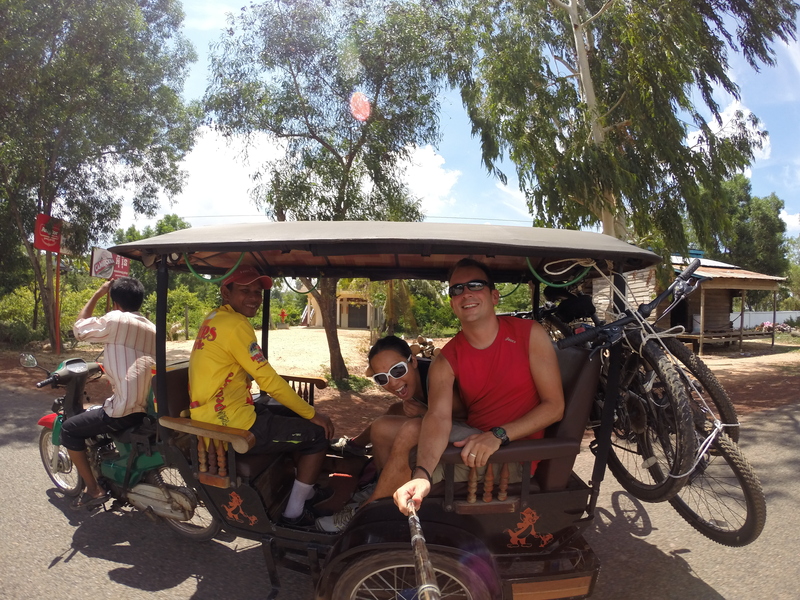 The tuk-tuk mafia is prevalent in Siem Reap, and their prices are insanely inflated at $2 per person to just travel 3-4km. 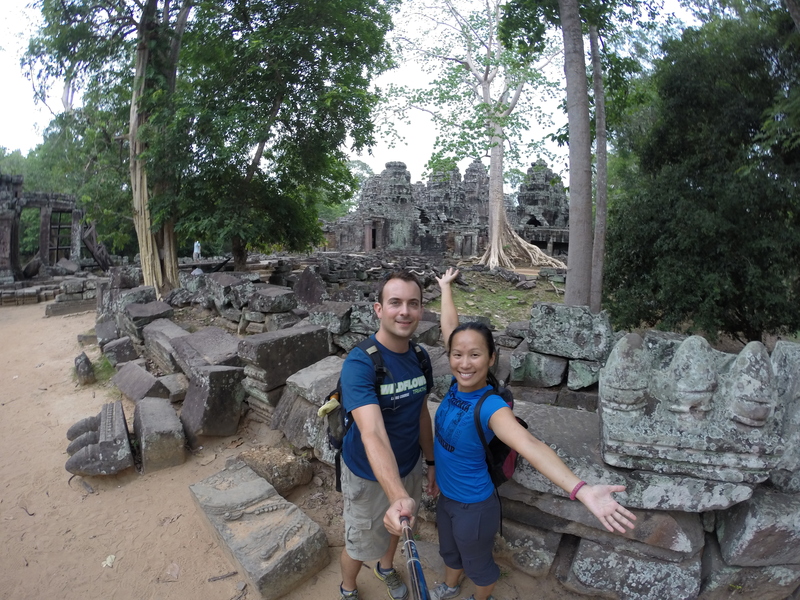 The 7 km ride into Angkor Wat starts at $10, and if you want to see another nearby temple, the cost jumps to $15. This is absolutely insane considering a 12 km cab ride in Bangkok or Hanoi costs about $4. 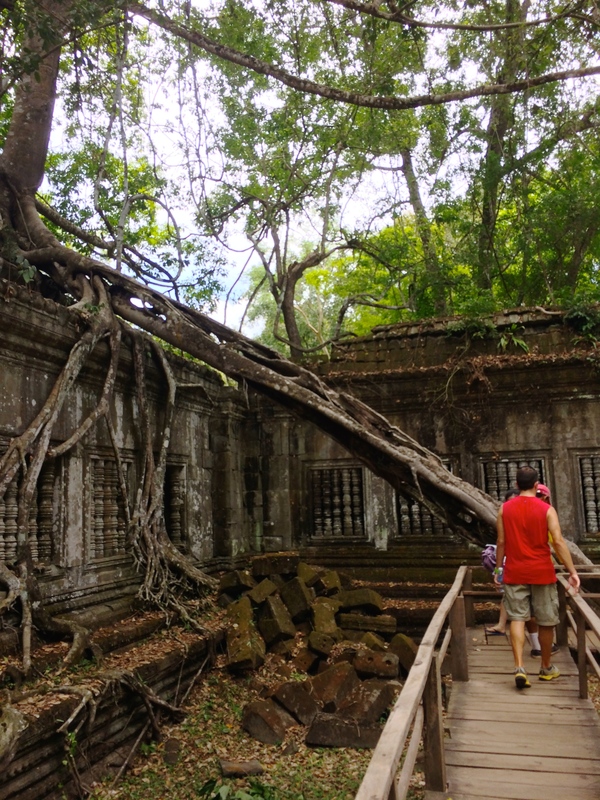 – Other than the massage parlors, shopping markets, shows, and hotels catered to Westerners, there really isn’t much else to see or do in Siem Reap except for some nearby floating villages or Phnom Kulen waterfalls. Research on the floating village and waterfall further turned me off. – The floating village is apparently a huge tourist trap. 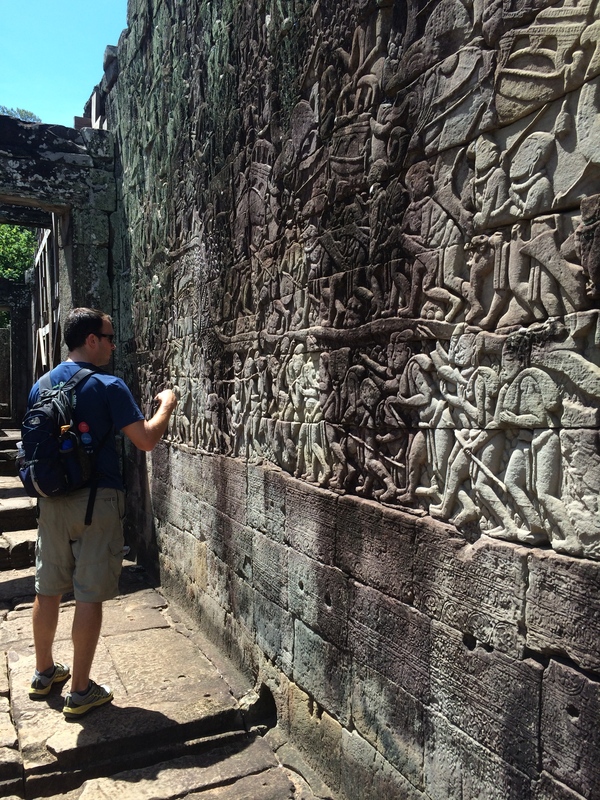 Hundreds of tourists who don’t do their research get sucked in by travel agencies and tour guides. Apparently the villagers pretend to be extremely poor. After being guilt tripped into buying insanely marked up cheap souvenirs or drinks, guides pressure tourists to donate $10-$20 “for rice for the children.” When tourists do not donate or donate less than the suggested amount, their tour guides aggressively yell at them. Tourists are also taken to restaurants that charge 5x the regular price, and the guides demand a tip when the scam tour is over. 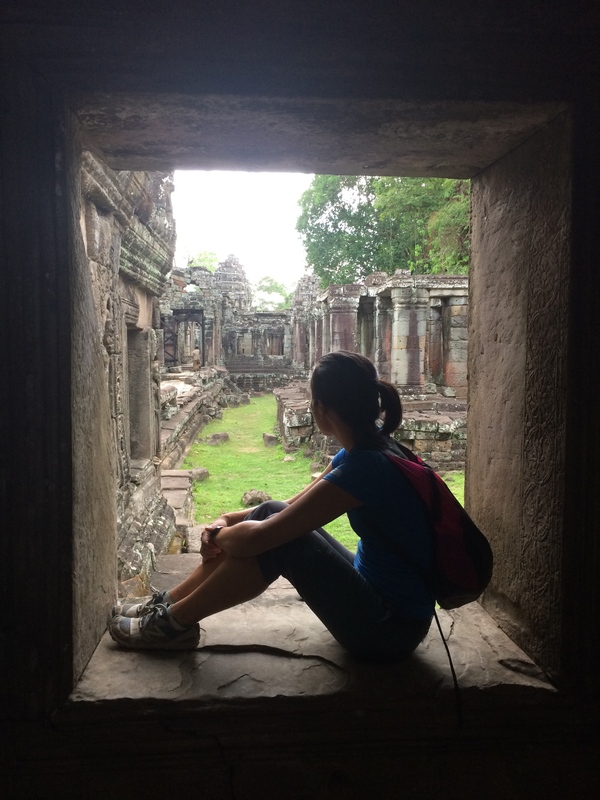 – Vietnam and Thailand have beaches, and Laos has rivers and tens of waterfalls, all which are easily accessible and are either free or have a $1-$2 entry fee. There are no beaches or swimmable lakes within the vicinity of Siem Reap, so the only option for cooling off in a body of water is the waterfall in Phnom Kulen National Park. 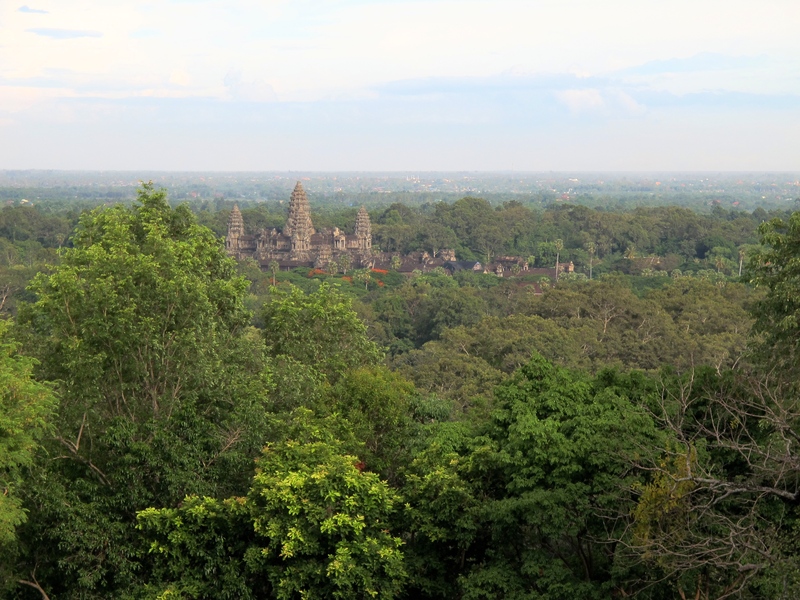 Only a hired vehicle can take tourists there (for $40-$60) since motorbikes cannot be rented, and in addition to that, admission is $20 per person! For a single, freakin’ waterfall! Had Chris and I gone, that would have cost us at least $80, excluding lunch and tips, which is downright ROBBERY. Based on my reading, it seemed as if those who thoroughly enjoyed the waterfall are people who have no other waterfall in Southeast Asia to compare it with. – For some reason, although there are orphans everywhere in the world, Westerners are drawn to orphanages in Cambodia (thanks Angelina Jolie!). Cambodians have picked up on this and some have created fake orphanages. Parents “lend” their children to these fake orphanages to obtain money from good-hearted tourists. Fortunately people are now more aware of the scams, but the fact that there are scams to this degree raise a flag for me. – There is a “baby milk” scam, which one of the backpackers from our bus fell victim to. Poor begging mothers lurk the touristy Pub Street with babies (I assume there is a baby rental center… haha just kidding … I hope), asking tourists to buy milk or food for their baby. Apparently they then resell the food or milk back to the store for half the price. 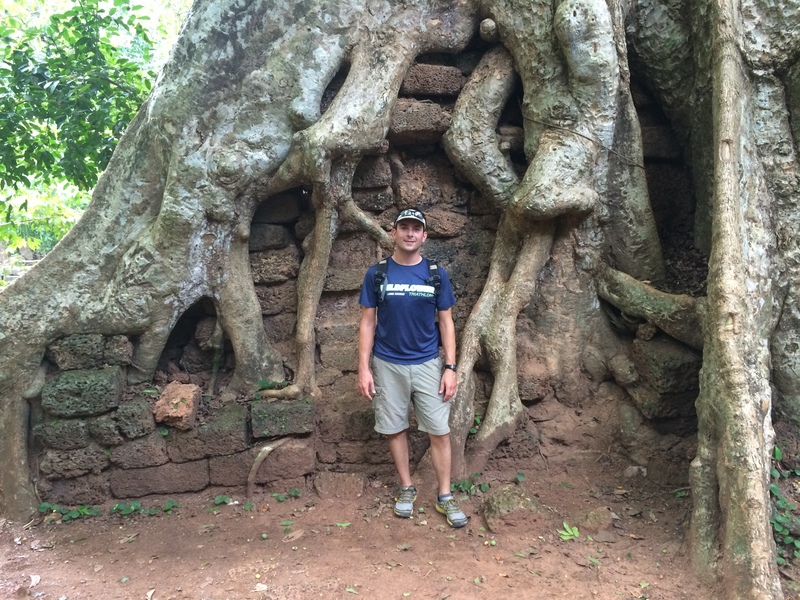 Tourism in Siem Reap is rigged toward the dependent traveler. Tourists from all around the world who have only 1 or 2 weeks to travel will love an expensive 5-star package with accommodation, bus tours with flag-waving leaders in air-conditioned buses, massages, shows, and Pub Street. 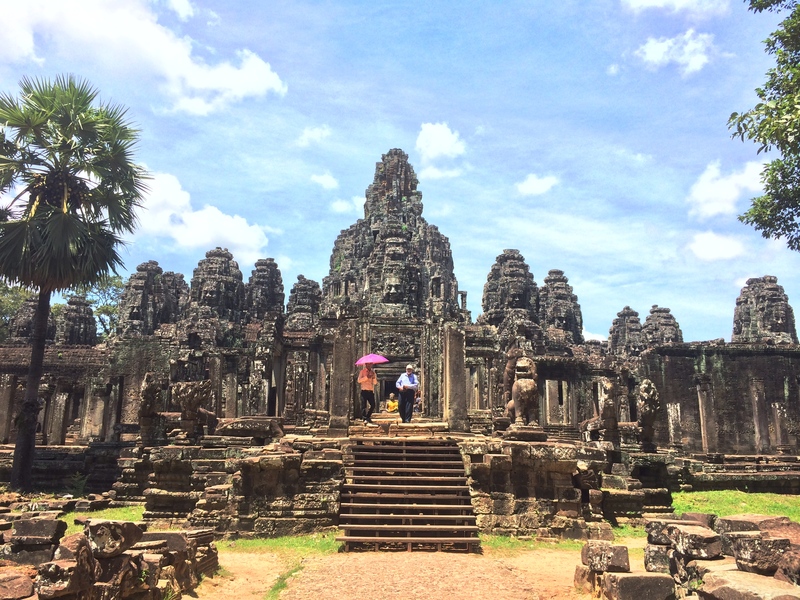 Siem Reap caters to those travelers. 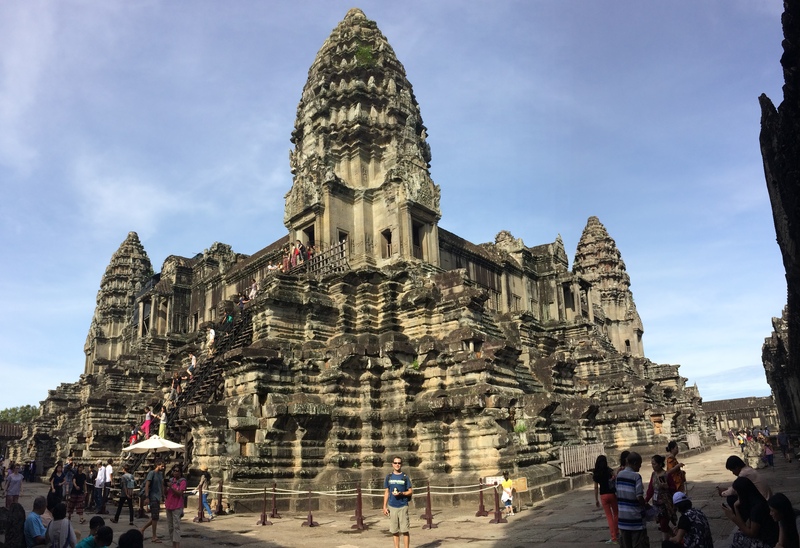 Independent backpackers are limited to the freedom-suffocating laws of Siem Reap that no other Southeast Asian city has. 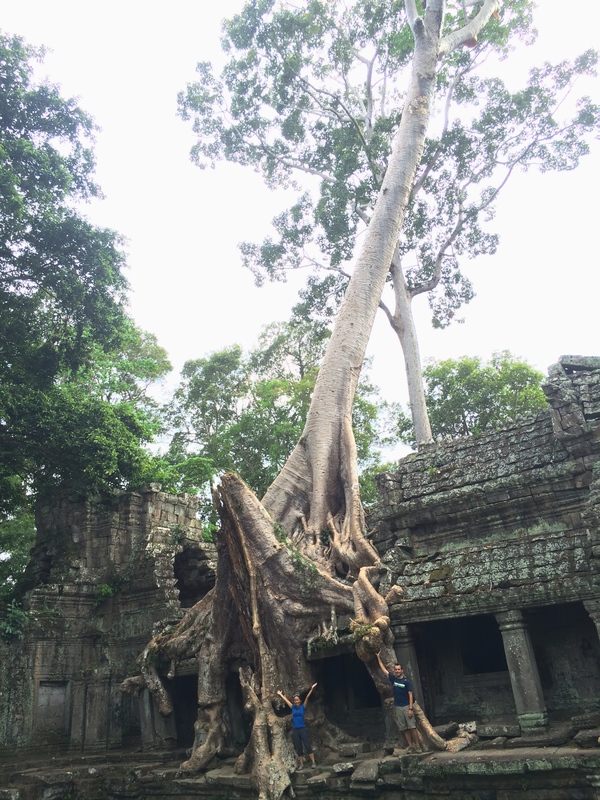 If you are the independent traveler who wants to avoid the Disneyland-like experience in Siem Reap, come during the low season, only if it is convenient (if you are already in Southeast Asia). 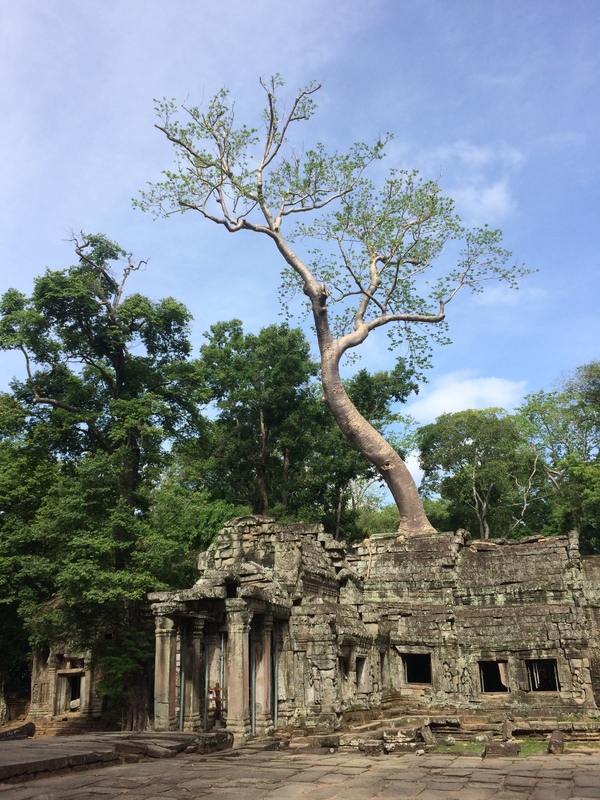 We were already near Cambodia so we decided to drop by, and it was worth the effort; we would not have flown out from California JUST to see the wats. 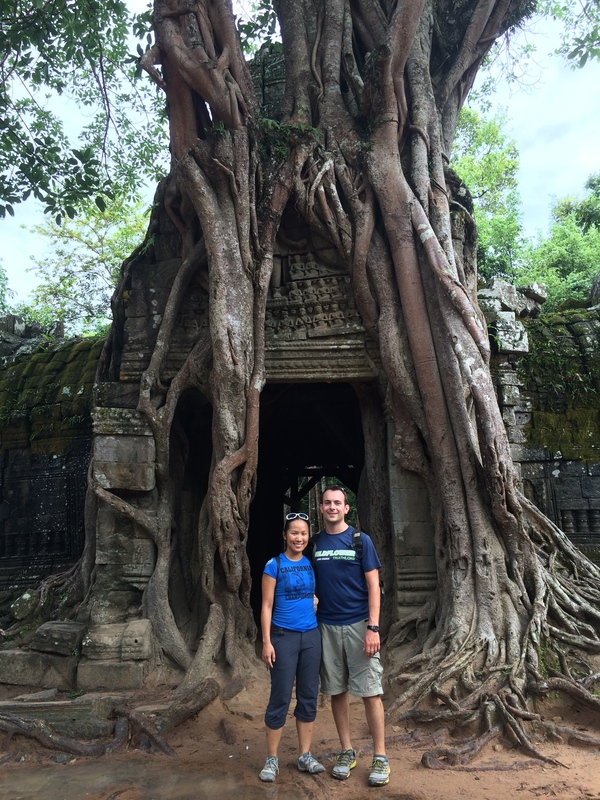 We enjoyed Siem Reap, but we won’t be missing it. beautiful pics and great writing!! your aunt and uncles admire you so much, Jean you re just like a national geographic journalist!